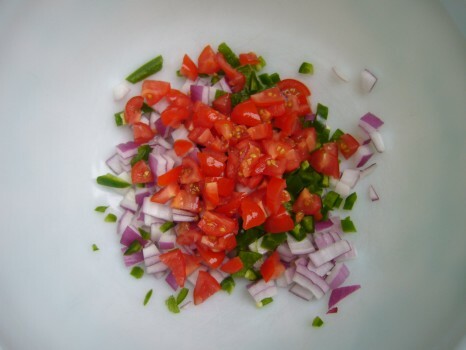 Combine diced tomatoes, diced red onion and finely chopped jalapeno peppers (start with 2 and take it from there). Oops! Forgot about the minced garlic. 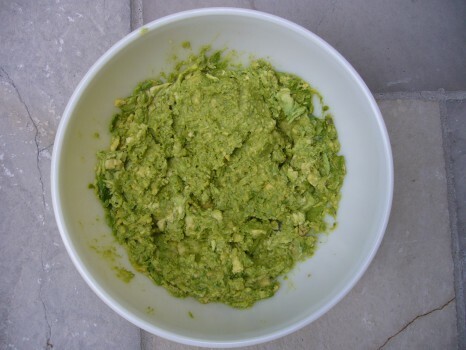 Mash 6 large avocados. Add some freshly squeezed lime juice. Season with coarse salt and fresh ground pepper to taste. 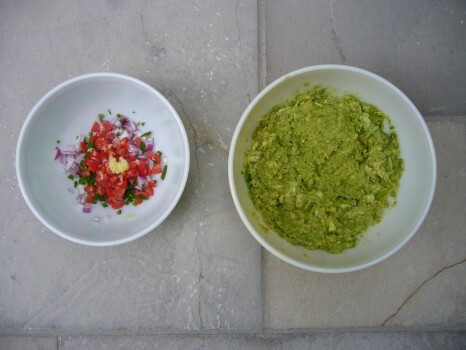 Lovingly combine the “salsa” mix with the avocado. 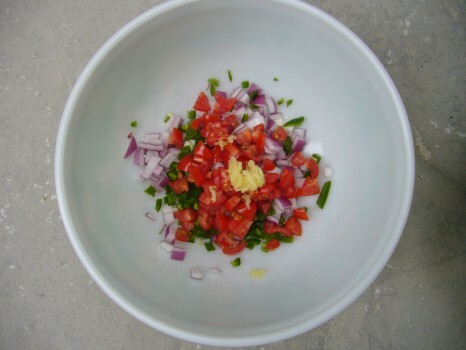 Add a handful of chopped fresh cilanto. Mmmmm! 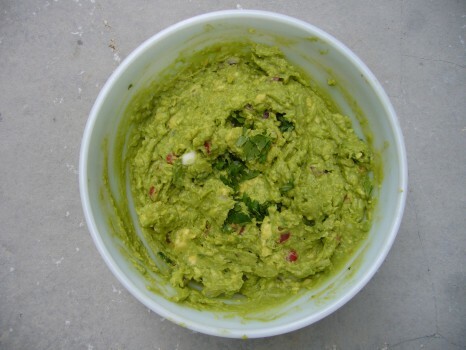 A shout-out to Robin Schaffran (aka Dr. Robin) for this guacamole recipe!